Found one file extension association related to TeXnicCenter and 1 file format developed specifically for use with TeXnicCenter. 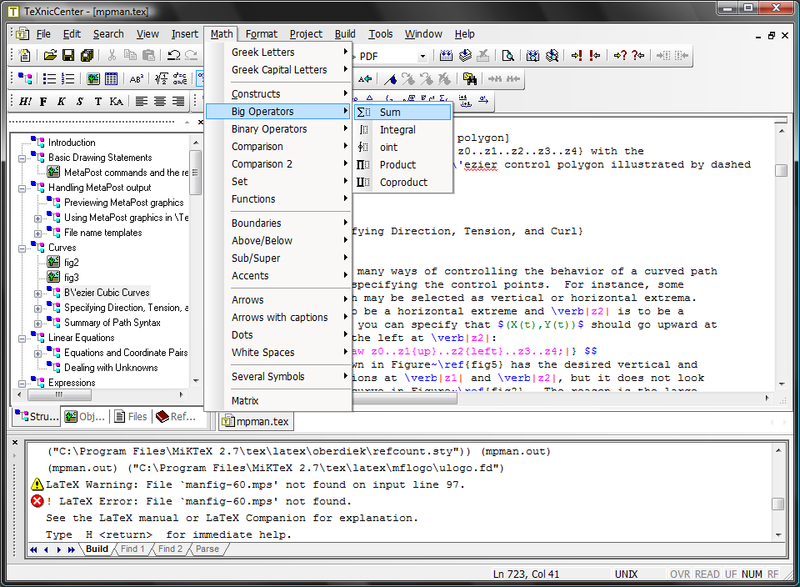 TeXnicCenter is a feature rich integrated development environment (IDE) for developing LaTeX-documents on Microsoft Windows freely available under GPL. IDE means the integration of all the tools, needed to develop documents with LaTeX, into just one application. You have the editor to write your LaTeX files with, you can start the building process just by choosing a menu item and the output of the LaTeX compiler is written to a window of TeXnicCenter and analyzed, so that you can simply jump from one error, warning or bad box to another one. If you need more information please contact the developers of TeXnicCenter, or check out their product website.